Throughout its long and often tumultuous history, “La Hispanola” has taken on various cultural identities to meet the expectations—and especially the demands—of those who governed it. The island shared by the Dominican Republic and Haiti saw its first great shift with the arrival of Spanish colonists, who eliminated the indigenous population and established a pattern of indifference or hostility to diversity there. 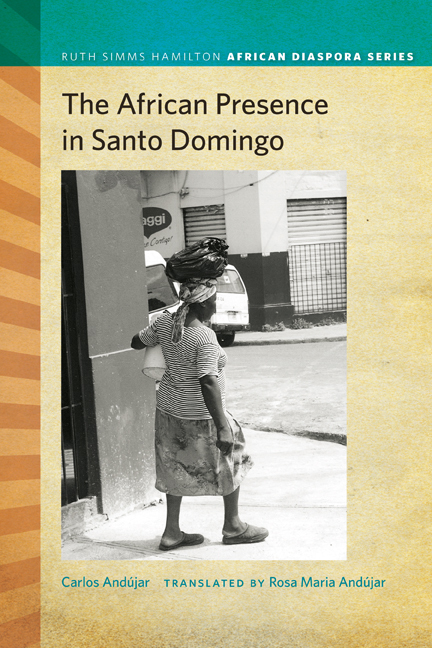 This enlightening book explores the Dominican Republic through the lens of its African descendants, beginning with the rise of the black slave trade in fifteenth- and sixteenth-century West Africa, and continuing on to slavery as it existed on the island. An engaging history that vividly details black life in the Dominican Republic, the book investigates the slave rebellions and evaluates the numerous contributions of black slaves to Dominican culture. Born in Santo Domingo, Dominican Republic, Carlos And\u00fajar is a humanist socially engaged with his countryÆs future.